CFE undertake all die and roll refurbishment at the UK plant in Haydock, Merseyside. 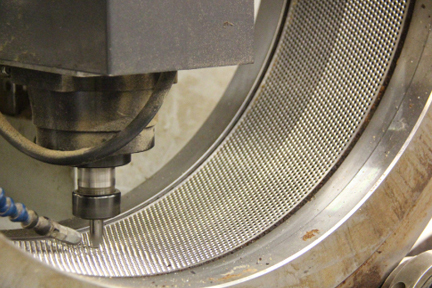 Die Refurbishing entails unblocking the holes, machining the die face, and countersinking. 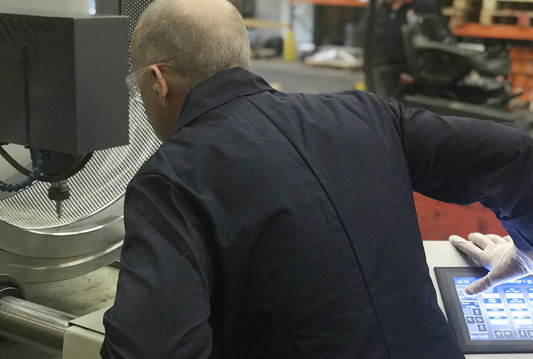 CFE have invested in automated equipment to do this, which includes a water jet operating at up to 15,000 PSI, two CNC grinders to machining the die face and two countersinking machines. Tramp metal and broken studs removed as part of die refurbishing process. This investment enables us to provide a fast turnaround for reduced downtime and value for money. 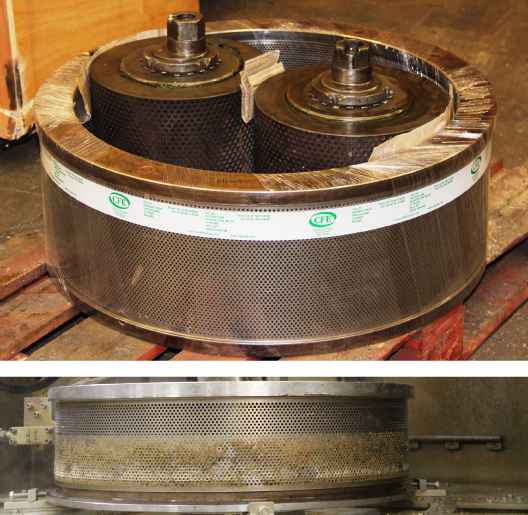 Roll Refurbishing involves dismantling and rebuilding used roll assemblies. CFE has invested in semi-automated equipment, which includes 150 and 100 tonne presses, purpose-built manipulators and an automatic washer with conveyor. This labour-saving investment has created efficiencies and enhances the quality of finished roll assembly. If you purchase roll refurbhsing on a one off ongoing basis and need control of costs then CFE offer a Fixed Price Roll Refurbishment package. This guarantees you a partners to can help improve performance and help reduce overall pelleting costs, with consistent high quality timely refurbishments completed.